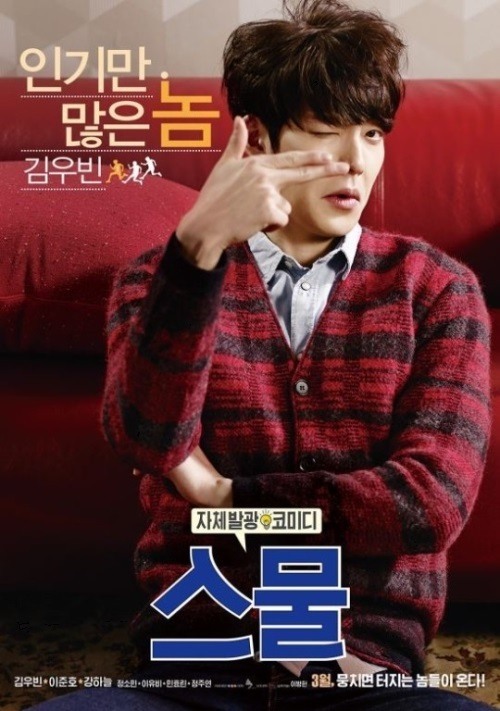 Posters of Kim Woo-bin’s upcoming movie “Twenty” were revealed Monday. The three posters show the three lead actors -- Kim, Kang Ha-neul and Lee Jun-ho of the boyband 2PM -- in comic poses capturing the essence of each character. In the movie, scheduled for release in March, Kim plays an unemployed ladies’ man who is not above throwing a tantrum to extort pocket money from his parents. The poster shows him disheveled and winking at the camera with a caption describing the character as having nothing but popularity. In the movie, Lee plays a wannabe cartoonist. While he works hard at any job he can find, he is always short of funds and the poster describes the character as a man who is only able to get by. 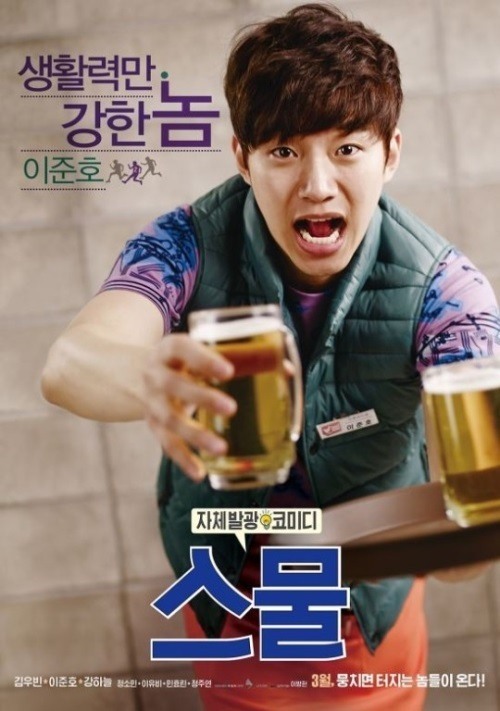 As for Kang, who recently played a highly qualified newbie in a hit cable television drama, is set to play a character who is well disciplined and hardworking during the day, but transforms into a different person when he is drunk.